A unique tribute to UPA, was produced with some of the funds raised by our previous Kickstarter campaign. We showed all 15 of UPA’s Oscar nominated, three of which won the golden guy, every short was a pristine 35mm print, restored by Sony Pictures just prior to the event. The event also included a lavish buffet reception prior to the screening, and following it, an “I ♥ UPA” panel of distinguished animators; Tom Sito, Bob Kurtz, and UPA’s own Fred Crippen, discussing UPA’s influence on their own work and modern animation in general. UPA’s 15 animated shorts Oscar nominations are second only to Disney and the National Film Board of Canada, and UPA did it all in only 12 years. And, they still hold the record for winning all the nominations in a single category. But, most importantly, UPA was the first studio to win an Oscar after the first twenty years of the statuettes going solely to Disney, Warners, and MGM, paving the way for independents world-wide. 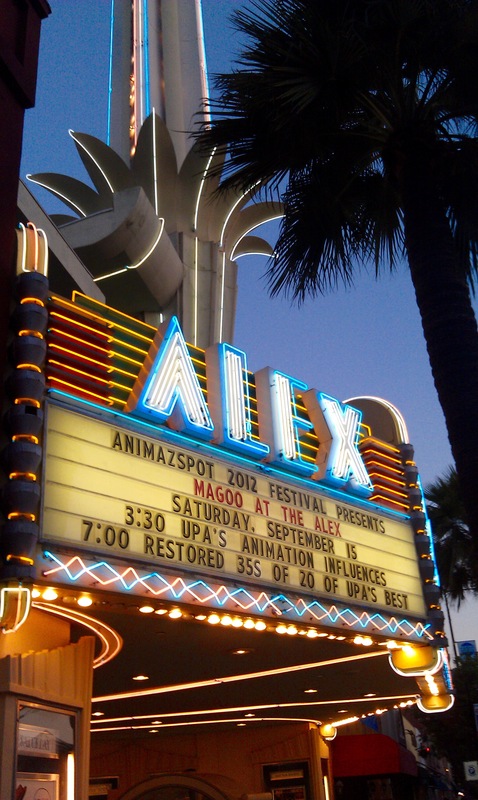 Like all the UPA Tributes and presentations that we’ve produced, there is always a place to promote our documentary, ply them with the dazzle of UPA, and let them know that we will be introducing that dazzle and creative flair to a brand new flock of animation artists and fans.